*The history of Ontario Beach Park is heavily intertwined and related to the history of Deep Run Park. A portion of the history listed here overlaps with the information provided on the Deep Run Park page. In practical terms, both stretches of park were created when the East Lake Road was moved a few feet to the east, taking it away from the lake shore. Very little was done until 1983 to improve the smaller strip of park land known variously as Ontario Beach Park, or simply as County Park. That year, in response to the complaints of neighbors, the park was fenced off from the highway, received basic landscaping and had restrooms installed. Although it had been an informal bathing area for decades, a decision was made then that there would be no swimming and no lifeguards at County Park. Initially, there were to be no picnic tables. All of those constraints were the result of budget issues according to County Administrator, Elwyn Herendeen. Tables were added later and the park, with its unique steps down to the lake, remains an inviting stretch of lakeshore. 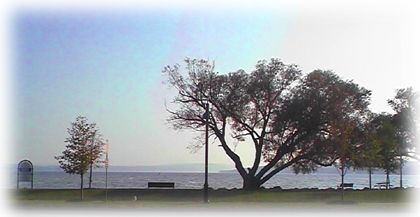 Ontario Beach Park, located on East Lake Road outside Canandaigua is a carry in / carry out park available for picnicing only. 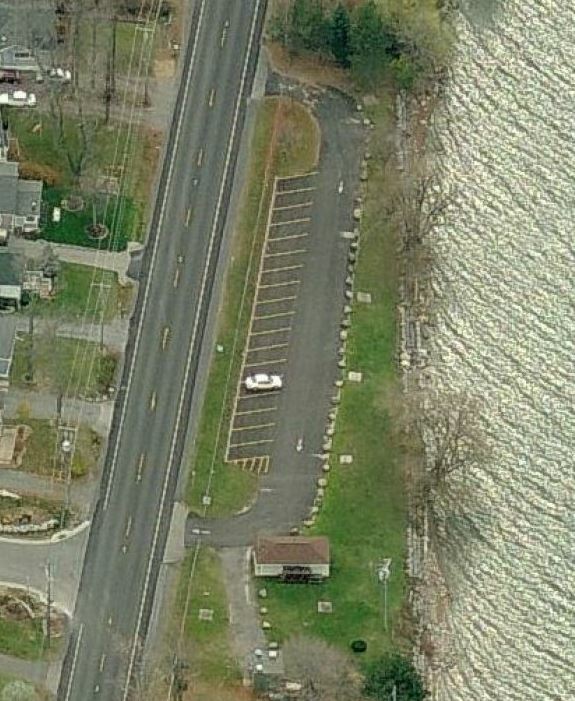 There are picnic tables, grills and restrooms available. There are no lifeguards on duty and swimming is prohibited in the park. Both entrance and parking are free to the public.